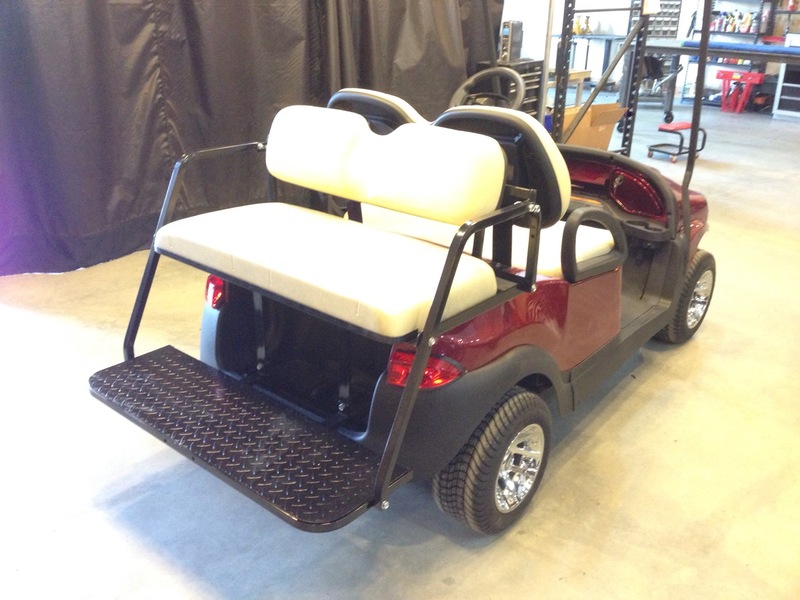 This cart is coming along nicely! 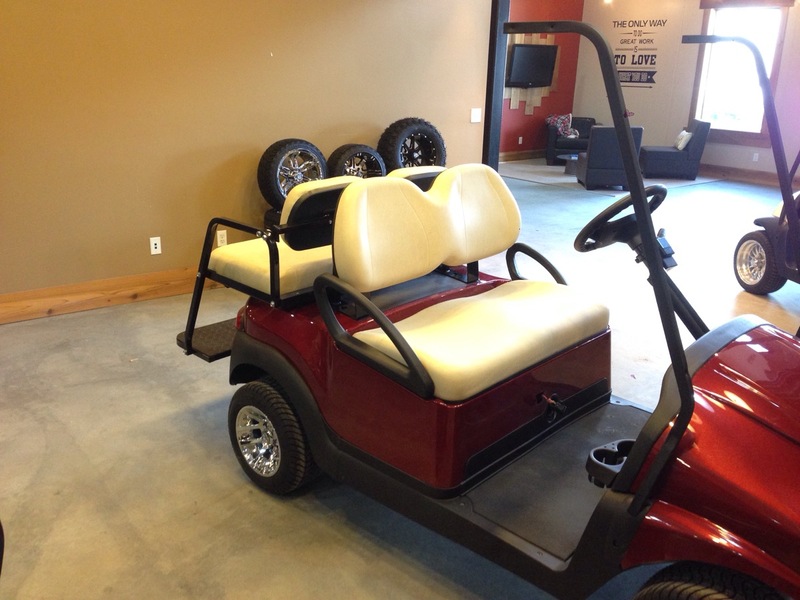 This cart has been on order since the fall and it is so exciting to see it come together in all its glory! Last week, we installed the body as well as a few other touches and this week we put together the rear seat kit, the roof uprights, the seats, and a few other things! First up, the rear seat back brackets. Now the brand new OEM rear seat back. 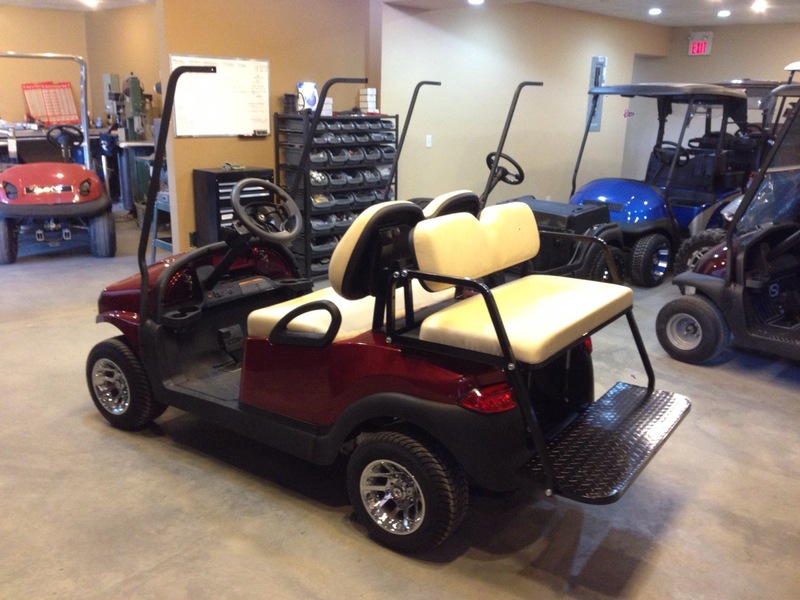 We then sped ahead and got the rear seat kit installed, this cart is also getting the rear grab handle and club attachment, but there is another surprise that has to be installed first. A side shot showing how comfy everything is looking. 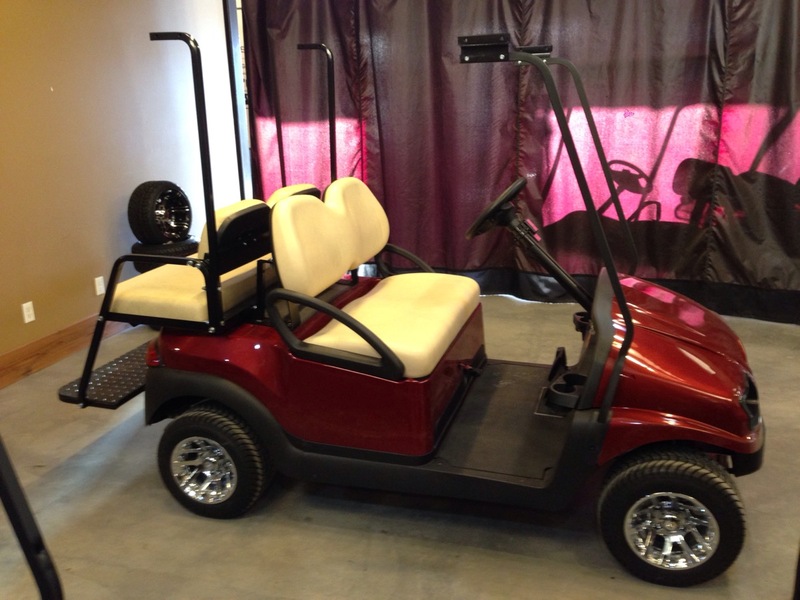 Whether you are in the front or rear of this cart it’s going to be a great ride! 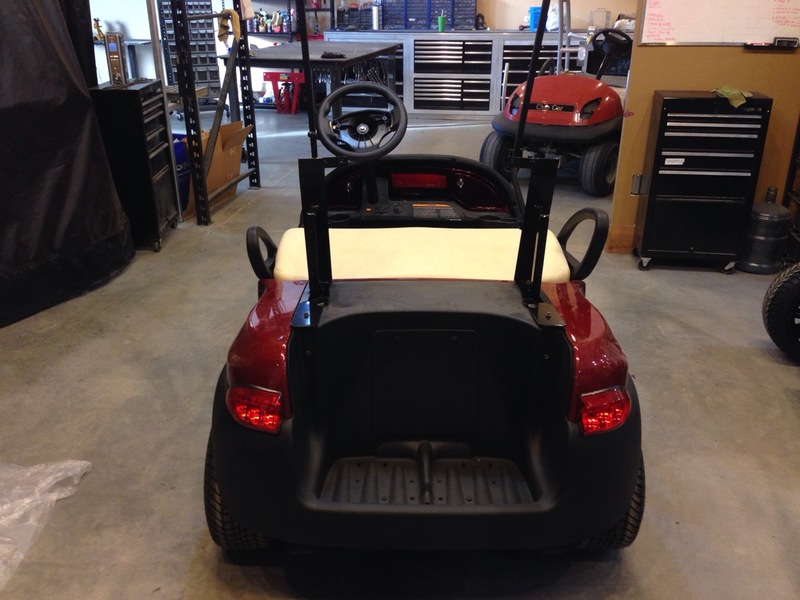 Next we installed the rear uprights and the front extended roof brackets. This Precedent is getting the big roof! 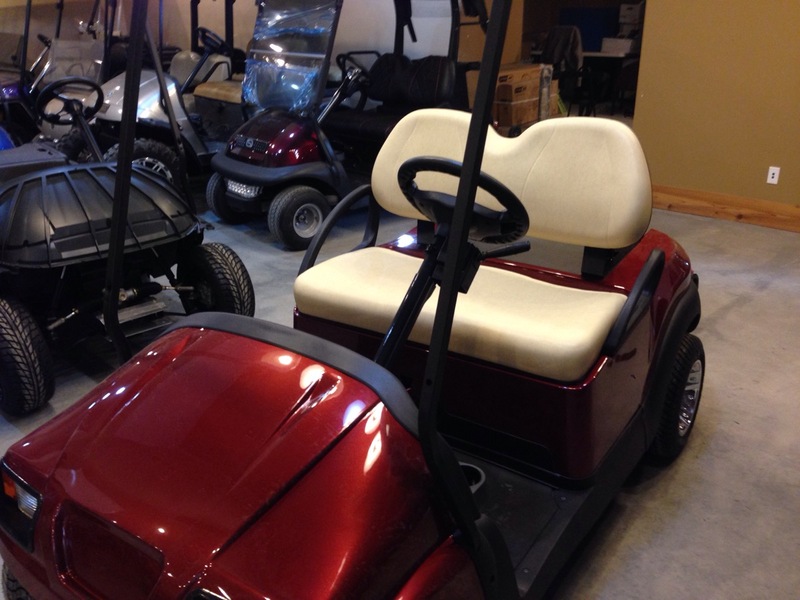 It won’t be to long and this Club Car will be heading to its new home at Predator, but we still have a few tricks up our sleeves with this one!